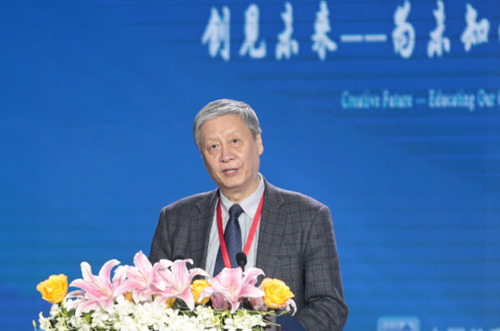 On March 24, the “Inauguration Ceremony of the Alliance of Science-Technology Innovation Education of the Chinese Society of Education (CSE) and Summit Forum on International Science-Technology Innovation Education” was held in Beijing, jointly sponsored by CSE, China Education Association for International Exchange (CEAIE), and Beijing Developmental Education Fund. The theme of the Forum was “Innovating on Future— Learn for the Unknown and Teach for the Future.” More than 800 people attended the Forum, including experts and scholars dedicated to science-technology innovation education, frontline teachers and researchers, R&D staff in companies for educational technology and innovation, and principals and teacher representatives from schools in China. 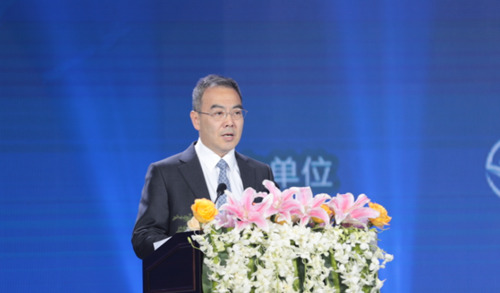 Zhong Binglin, President of CSE, addressed the opening speech at the opening ceremony. 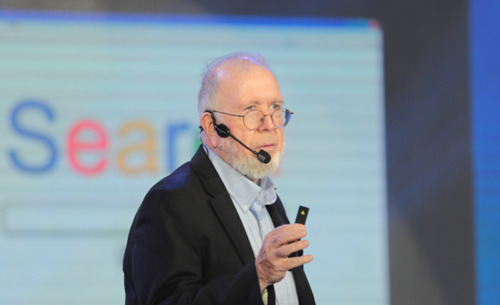 In his opinion, STEAM, a new concept and mode in education, has received increasing attention around the world. In America, STEAM has already become the important component of national education strategy; in China, it is clearly stated in educational planning that new educational modes like STEAM and Maker Education shall be explored to cultivate students’ abilities in science, information literacy and innovation. He believed the following three to be important for carrying out STEAM: first, to understand its importance profoundly; second, to grasp its basic features accurately; third, to explore the practical way proactively. The CSE Alliance of Science-Technology Innovation Education (CSE-ASTIE) was officially founded at the Ceremony. The Alliance, dedicated to education innovation, was voluntarily sponsored by CSE and composed of primary and secondary schools, colleges and universities, research institutes and relevant enterprises. It will devote itself to establishing STEAM curriculums and evaluation systems with Chinese characteristics led by the beneficial educational experience of developed countries. Based on this, it aims to find an innovative way to explore the educational mode in Chinese schools by guiding the curriculum reform as well as enriching and creating other modes for talent cultivation. 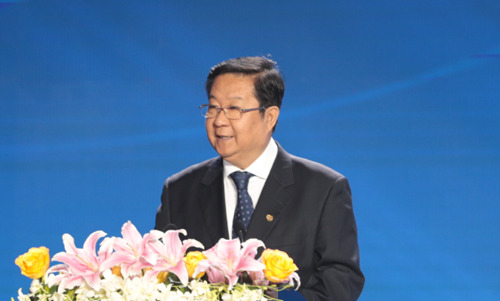 According to Liu Limin, President of CEAIE, some schools in China have achieved moderately in science-technology innovation education, which, though, still remains to be integrated, regulated and updated in curriculums, technologies, experiments, teaching, evaluation, resource construction as well as achievement reviews, verification, exchanges and promotion. 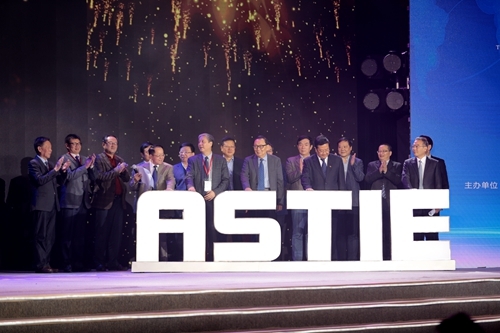 Therefore, CSE-ASTIE can practice in an open, sharing and beneficial way in learning STEAM concepts from international communities, adapting them to Chinese situation, enhancing cooperation with relevant enterprises, higher education schools, and research institutes, and improving the education and training for teachers. 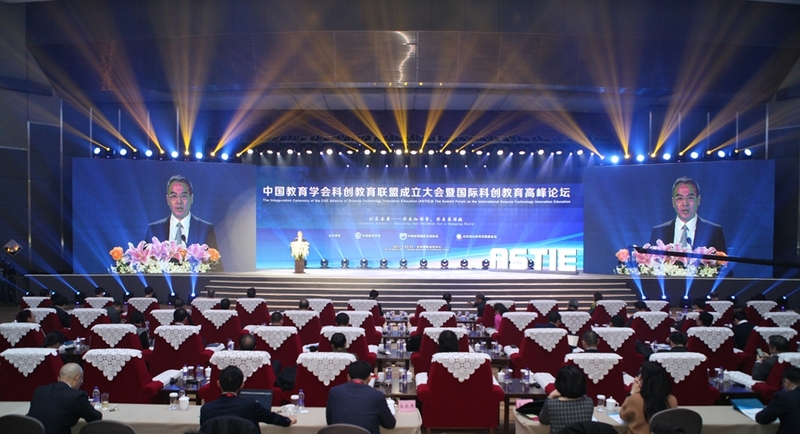 Yang Nianlu, Secretary-General of CSE-ASTIE and Vice President of the Standing and Secretary General of CSE, stated that they hoped to build CSE-ASTIE into a professional platform for STEAM within three to five years, wishing it to have complete curriculums, reasonable evaluation systems, well-equipped learning conditions, and strong attainment in research, thus guiding the rest in China’s basic education. Researchers and practitioners in STEAM, both at home and abroad, reported and shared their opinions on the theme of the Forum. Participants included: Kevin Kelly, founding executive editor of Wired, a famous American technology magazine, and author of Out of Control, What Technology Wants, and The Inevitable; Georgette Yakman, representative of PLTW, an American non-profit organization, and assistant to the Dean of Harvard Graduate School of Education; BaiYi, Vice Director (Vice Dean) of Research Center of Learning Science in Southeast University; Yan Wenfan, a tenured professor, doctoral supervisor and Dean of the Department of Leadership in Education in University of Massachusetts Boston, America; Naftali Tishby, Professor of Computer Science and Director of Interdisciplinary Center for Neural Computation in Hebrew University of Jerusalem; Dave Chavez, CTO of zSpace; and Zhao Sheng, founder of Makers Venture Capital in Silicon Valley and Vadi Ventures in Israel. The activity lasted for one day and a half. On the afternoon of March 24, four parallel sub-forums were held with the themes of “Practice of STEAM in America and Its Enlightenment on Future School Education,” “Learning Revolution Brought About by Artificial Intelligence in America,” “Enhance Future Education with AR Technology,” and “Second Cognitive Revolution and Future Technology Development Trend.” On the morning of March 25, four parallel workshops were held respectively in the High School Attached to Tsinghua University, Beijing National Day School, Beijing No.35 High School, and Beijing Bayi School.